In 2012, I spent eight months living and working in the Inuvialuit hamlet of Paulatuuq, which is situated on the coast of the Beaufort Sea in the Inuvialuit Settlement Region, in Canada’s Northwest Territories. I was interested in people’s relationships to fish, and how fishing relationships were being asserted within the community in the face of cumulative colonial and environmental impacts, including looming mining interests, affecting the region. My first two degrees are in Biology and Rural Sociology and when I started ethnographic work in Paulatuuq, I still saw the relationships between humans and their environments with colonial eyes: fish were food, fish were specimens, fish were inputs in surveys and dry policy documents. I knew better than to see fish this way. I grew up fishing with my parents and sisters on Baptiste Lake in north-central Alberta through the 1980s and 1990s. I swam with the fish in that green prairie kettle lake every summer throughout my entire childhood. I dreamt about fish and their fish-lives beneath the inscrutable, rippled lake-surface. I squealed with joy at the silver flash of minnows in the shallows on lazy July days and, for many dinners through my adolescence, we ate fish my step-dad caught in the Red Deer River, Pepper’s Lake, and on his own re-watered wetland in central Alberta. But even with fish woven so intimately into every part of my life, it had never occurred to me that fish were also citizens, interlocutors, story-tellers, and beings to whom I owed reciprocal legal-governance and social duties. These lessons had been deeply erased from dominant (non-Indigenous) public discourse in Alberta and I had not recognized the implicit ways fish were woven into my own life as more than food. This is the thing about colonization: it tries to erase the relationships and reciprocal duties we share across boundaries, across stories, across species, across space, and it inserts new logics, new principles, and new ideologies in their place. Anishinaabe legal scholar John Borrows (Pohlmann 2014) argues that Canada is enlivened by legal pluralities. By this, he means that Canada is not governed only by laws derived from French and English legal systems, but that the country is deeply shaped by the legal orders of First Peoples in North America whose territories were dispossessed by the colonizers. But through colonial sleight of hand, the Canadian State has tried to get us to forget that fish, too, are citizens within the territories we inhabit, that we share treaties and governance relationships with fish, plants, and other more-than-human agents. Colonialism has worked tirelessly to erase the Indigenous laws that govern Indigenous territories across Canada. This erasure obscures Indigenous legal orders and thinking in which humans, animals, water and land are integrated into nuanced and duty-full relationships with one another, replacing these legal-governance realities with ones that draw solely on anthropocentric French and English legal paradigms. [M]any Indigenous peoples are not aware of the law they know—they just take it for granted and act on their legal obligations without talking about it. This is in contrast to explicit law, in which everything is explained and talked about and written down. Sometimes Indigenous peoples think that their laws have to look like western laws and so they try to describe them in western terms. It took me nearly my entire lifetime as a Red River Métis (otipemisiw, Michif) woman to learn to see the implicit Indigenous laws operating all around me throughout Indigenous territories in Canada. It was the experience of doing ethnography in Paulatuuq that taught me, finally, of the urgency and necessity of honouring Indigenous laws and the beautiful ways that they incorporate the more-than-human into legal-governance paradigms and discourses. In my work, I went looking for human responses to colonial relations, but quickly learned that resistance to colonial dispossession is articulated and mobilized not only through human means, but also through the bones, bodies, and movement of fish. An ecological understanding of human relationality that does not deny difference, but rather seeks to more deeply understand how our different histories and experiences position us in relation to each other. This form of relationality is ethical because it does not overlook or invisibilize the particular historical, cultural, and social contexts from which a particular person understands and experiences living in the world. It puts these considerations at the forefront of engagements across frontiers of difference. Ethical relationality encourages me to contend with my research relationships differently than the Canadian and British academies where I was trained. The University, as a structure and a system, is built upon and informed by the laws and ethics of Euro-Western thinking and governance; it also operates to reify laws that are used to dispossess Indigenous peoples. However, to work in Indigenous territories and with Indigenous peoples’ cosmologies in North America necessarily brings me into legal-governance and ethical relations across the plurality of laws that enliven these dynamic territories. Donald’s work invites us to attend to the space between and across a) the Euro-Western legal-ethical paradigms that build and maintain the academy-as-fort (or colonial outpost), fixing it within imaginaries of land as property and data as financial/intellectual transaction, and b) Indigenous legal orders and philosophies which enmesh us in living and ongoing relationships to one another, to land, to the more-than-human, and which fundamentally challenge the authority of Euro-Western academies which operate within unceded, unsurrendered and sentient lands and Indigenous territories in North America. It also brings our anthropological attention to the simultaneous and often contradictory negotiations that Indigenous peoples make across both sameness and difference in contending with the colonial Nation State in Canada. In Paulatuuq, interlocutors Andy Thrasher, Millie Thrasher, Annie Illasiak and Edward and Mabel Ruben taught me that fish are more than food. Fish are simultaneously many things: food; sentient beings with whom humans share territory; specimens of study and regulation in wildlife co-management regimes; citizens and agents in legal-governance relationships, examples of what Ann Fienup-Riordan (2000:57) calls ‘active sites of engagement’. Across these sites, human-fish relations inform and capture memory, stories, teaching, and philosophies. I also learned that human-fish relations can act as ‘micro-sites’ across which fish and people, together, actively resist and shape colonial logics and processes within Inuvialuit territories. Just as humans can shape and experience the colonial encounter, so too can animals. Human-fish relations in Paulatuuq therefore present a plurality of meanings, strategies and principles for those enmeshed within them. 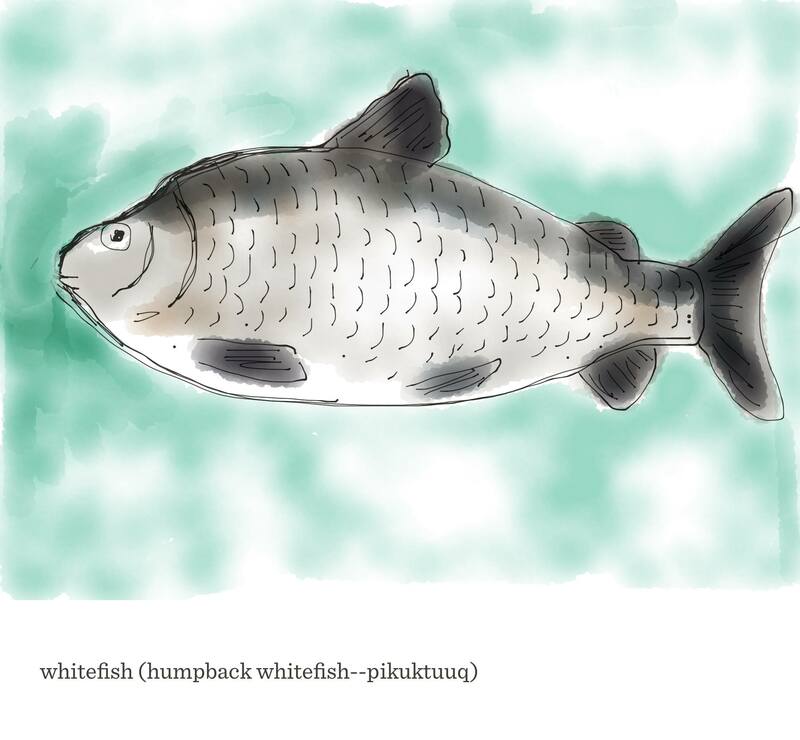 As a result, fish pluralities in Paulatuuq deeply inform a vibrant and creative set of local strategies through which some community members have refracted colonial State formations of human-animal and human-environmental relations (Todd 2014). Annie Illasiak, an elder I worked with in Paulautuq, repeated the same lesson to me several times while I was working and living in the community. That teaching was ‘you never go hungry in the land if you have fish’. At first, I thought she meant this teaching as a purely utilitarian subsistence or survival lesson: even if every other source of food is unavailable, if you have fish, you won’t starve. It wasn’t until after I had moved back to Scotland to write that I began to untangle my utilitarian understanding of the statement and began to see the fish pluralities she was referencing. This was not a lesson solely about food, but about the many manifestations and articulations of human-fish relations in Paulatuuq: as long as you have fish, you have stories, memories and teachings about how to relate thoughtfully with the world and its constituents. As long as you have fish (and other animals), you are nourished not only physically, but in a plurality of emotional, spiritual and intellectual ways as well. A world without fish is not only a hungry one, but one intellectually and socially bereft. People I worked with in Paulatuuq demonstrated to me how they employ what Inuvialuit political leader and thinker Rosemarie Kuptana (2014) calls the Inuit practice of ‘principled pragmatism’. 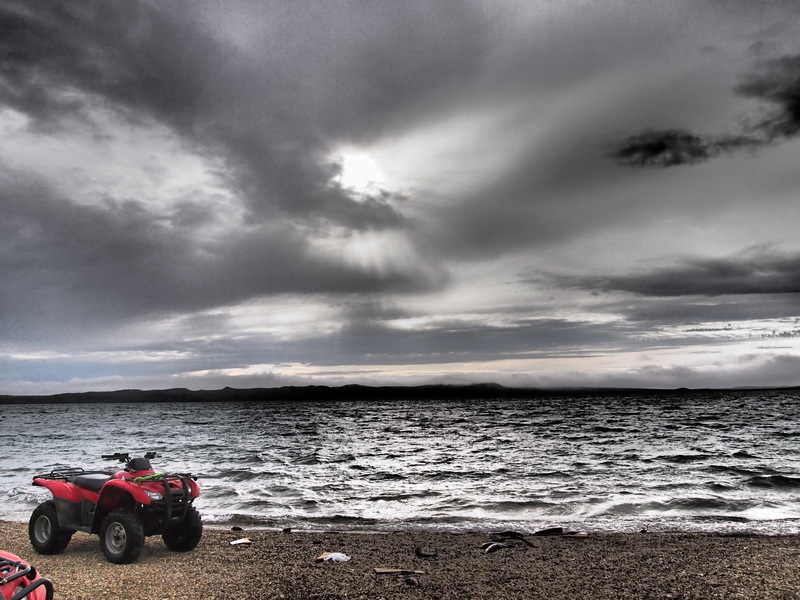 Working across both sameness and difference, Paulatuuq people employ strategies that incorporate elements of the Canadian State’s wildlife scientific co-management system and Inuvialuit legal orders and thinking to assert the well-being of humans and fish alike. Employing this dynamic strategy, Paulatuuqmiut successfully shut down a government-mandated commercial fishery in a vital local watershed in the 1980s (Todd 2014). The lives and stories of fish and people are tightly woven together in complex ways, and these relationships inform not just what might be glossed as cultural, religious, ontological or ecological concerns but also shape concrete, gritty, practical, fleshy lived legal-political (decolonial) realities as well. By working outwards from particular and specific fish stories and memories that interlocutors shared with me in Paulatuuq, I was brought into a rich world of Indigenous legal-governance operating in dynamic ways across Canada. I was taught to see fish as non-human persons who consciously and actively respond to the human and non-human worlds around them. I was taught to understand land, climate/atmospheres, water and animals as sentient and knowing and to position my engagement with these agents ethically, reciprocally, and accountably. My presence as someone entangled in settler-colonial research systems was also made explicit, and forced me to question and engage with the uncomfortable question of what my role is (if any) as a southerner working in arctic Canada. At the end of the day, I realized that I cannot work in the northern research industry while research in unceded Indigenous lands remains controlled, in large part, by southern non-Indigenous research institutions which operate under settler-colonial legal constructs (Moffitt et al. 2015). For now, I work in the territories where I grew up. I make this choice so that I can renew and tend to the relationships to fish, people, lands and Indigenous laws that I was raised with but unable to ‘see’. Through my ethnographic experience, I was taught by Inuvialuit interlocutors to train my eyes, ears, heart and mind to honour implicit Indigenous laws long-obscured by the dominance of British and French laws employed by the Canadian State. I was also sensitized to the differences between laws, stories and relationships in Paulatuuq and those Métis teachings I grew up with on the green waters of Baptiste Lake in Alberta. Working within the frameworks of Indigenous legal orders re-situates my duties from those that prioritise the academic-research industrial complex to a nuanced and careful negotiation of duties within, across and between Indigenous laws that centre and tend to land, water, fish, humans, and climate. For me, ethnography and anthropology remain fraught structures, processes and spaces. However, by tending to my duties to Inuit thinkers, and the philosophies they articulate (and intellectual labour they perform), and in tending to my legal-ethical duties as an Indigenous feminist working within the ongoing settler-colonial realities that shape Canada, I can slowly but insistently untangle some of the violences the academy reproduces in its iterations and interpretations of Indigenous philosophy. There is a rich literature on Indigenous legal orders and Indigenous cosmologies to refer to here. I suggest reading the work of Mario Aupilarkuuk et al. (1999); John Borrows, Sarah Hunt, Kahente Horn-Miller, Sylvia McAdam, Val Napoleon, Tracey Lindberg, Jim Tully, Sharon Venne, Vanessa Watts and others. This is a tension that Indigenous scholars Olga Ulturgasheva and Stacy Rasmus (2014) interrogate in their ethnographic work across and between territories in Alaska and Siberia. Donald (2009: 4) interrogates the ‘frontier logics’ that still operate within Canada to separate Indigenous and non-Indigenous pedagogies and stories, and he employs the Fort as metaphor to illustrate the active way the education system works to keep Indigenous stories and philosophies outside the classroom. In a recent talk in Ottawa, Canada in October 2015, Tracey Lindberg called these the ‘colonial legal fictions’ that the Canadian State relies upon to dispossess Indigenous peoples from living, thinking, and sentient lands. I explore this in depth in my doctoral work and in a recent publication (Todd 2014). For further reading on the negotiations of Indigenous philosophies within and outside of Euro-Western academic structures in North America, please review the works of John Borrows, Dwayne Donald, Sarah Hunt, Tracey Lindberg, Cutcha Risling Baldy, Erica Violet Lee, Val Napoleon, Audra Simpson, Kim TallBear, Eve Tuck, Vanessa Watts, Kyle Powys Whyte and other contemporary Indigenous thinkers working on these issues. Aupilaarjuk, Mariano, Tulimaaq, Marie, Joamie, Akisu, Imaruittuq, Emile, Nutaraaluk, Lucassie. (1999). Interviewing Inuit Elders Volume 2: Perspectives on Traditional Law. Oosten, Jarich, Laugrand, Frederic, and Wim Rasing, Editors. Accessed December 29, 2015: http://tradition-orale.ca/english/pdf/Perspectives-On-Traditional-Law-E.pdf. Donald, Dwayne. (2009). Forts, Curriculum, and Indigenous Metissage: Imagining Decolonization of Aboriginal-Canadian Relations in Educational Contexts. First Nations Perspectives 2(1): 1-24. Fienup-Riordan. Ann. (2000). An Anthropologist Reassess Her Methods. Pp. 29-57 in Hunting Tradition in a Changing World: Yup’ik Lives in Alaska Today. Fienup-Riordan, A., Tyson, W., John, P., Meade, M. and J. Active, eds. New Brunswick: Rutgers University Press. Kuptana, Rosemarie. (2014). Indigenous Peoples in Canada: Politics, Policy and Human Rights-based Approaches to Development and Relationship-Building. Text from a lecture given at Trent University’s 50th Anniversary, Friday August 08, 2014. Full transcript online: https://www.facebook.com/notes/10152653528630909/. Moffitt, Morgan, Chetwynd, Courtney, and Zoe Todd. (2015). Interrupting the Northern Research Industry: Why Northern Research should be in Northern Hands. Northern Public Affairs 4(1). Accessed January 29, 2016: http://www.northernpublicaffairs.ca/index/interrupting-the-northern-research-industry-why-northern-research-should-be-in-northern-hands/. Napoleon, Val. (2007). Thinking About Indigenous Legal Orders. Research Paper for the National Centre for First Nations Governance. Accessed June 05, 2014: http://fngovernance.org/ncfng_research/val_napoleon.pdf. Pohlmann, Monica. (2014). John Borrows on indigenous legal traditions: ‘We need to explore how we can take that law and carve it in new and beautiful ways’. The Globe and Mail. Accessed 06/07/2015: http://www.theglobeandmail.com/globe-debate/john-borrows-on-indigenous-legal-traditions-we-need-to-explore-how-we-can-take-that-law-and-carve-it-in-new-and-beautiful-ways/article21960774/. Todd, Zoe. (2014). 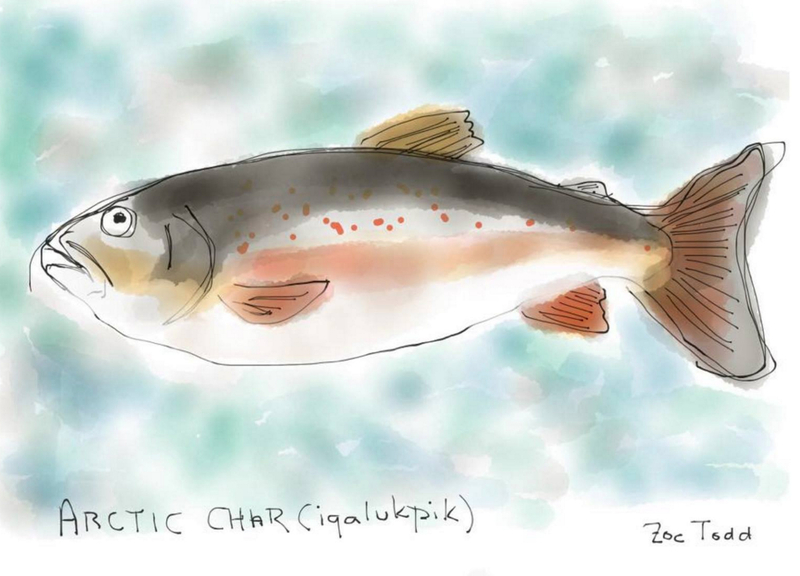 Fish pluralities: Human-animal relations and sites of engagement in Paulatuuq, Arctic Canada. Etudes/Inuit/Studies 38(1-2): 217-238. Ultargasheva, Olga and Stacy Rasmus. (2014). 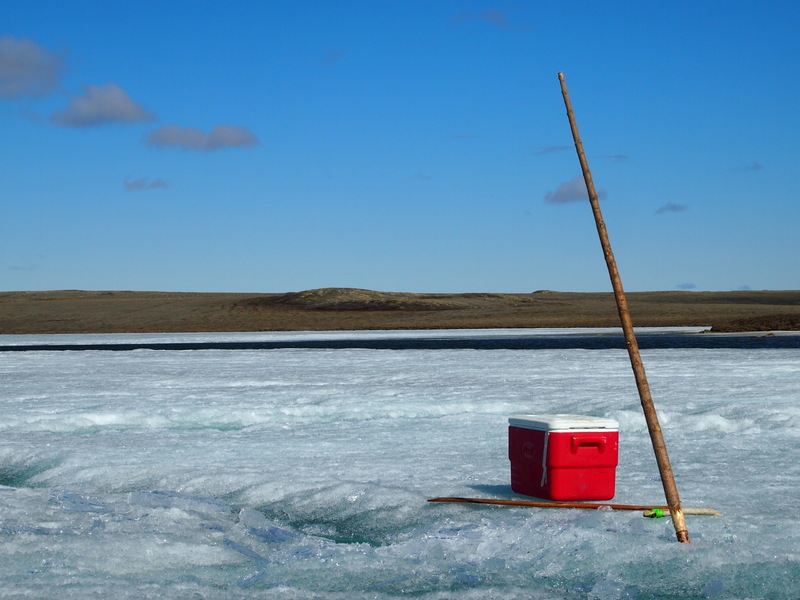 Developing Indigenous Research Methodologies in the Arctic. Field Notes: the Polar Field Services Newsletter. Accessed January 23, 2016: http://polarfield.com/blog/developing-indigenous-research-methodologies-in-the-arctic/. Zoe Todd (Métis) is from Amiskwaciwâskahikan (Edmonton) in Treaty Six Territory in Alberta, Canada. She writes about Indigeneity, art, architecture, decolonization and healing in urban contexts. She also studies human-animal relations, colonialism and environmental change in northern Canada. She is a tenure-track lecturer in Anthropology at Carleton University in Ottawa, Canada and a PhD Candidate in Social Anthropology at Aberdeen University. She was a 2011 Pierre Elliott Trudeau Foundation Scholar. Videos of "Cultural Psychiatry: A Critical Introduction"
Todd Z. From fish lives to fish law: learning to see Indigenous legal orders in Canada. Somatosphere. 2016. Available at: http://somatosphere.net/2016/from-fish-lives-to-fish-law-learning-to-see-indigenous-legal-orders-in-canada.html/. Accessed April 25, 2019. Todd, Zoe. 2016. From fish lives to fish law: learning to see Indigenous legal orders in Canada. Somatosphere. 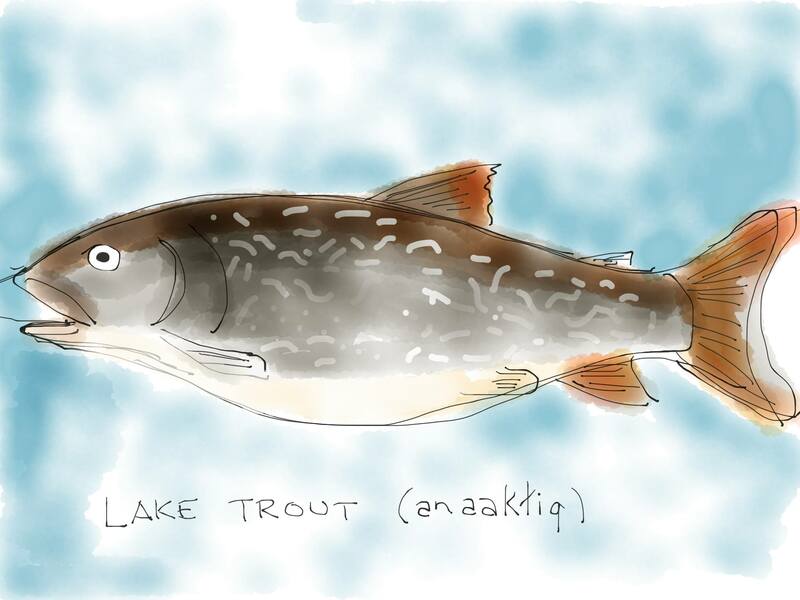 http://somatosphere.net/2016/from-fish-lives-to-fish-law-learning-to-see-indigenous-legal-orders-in-canada.html/ (accessed April 25, 2019).